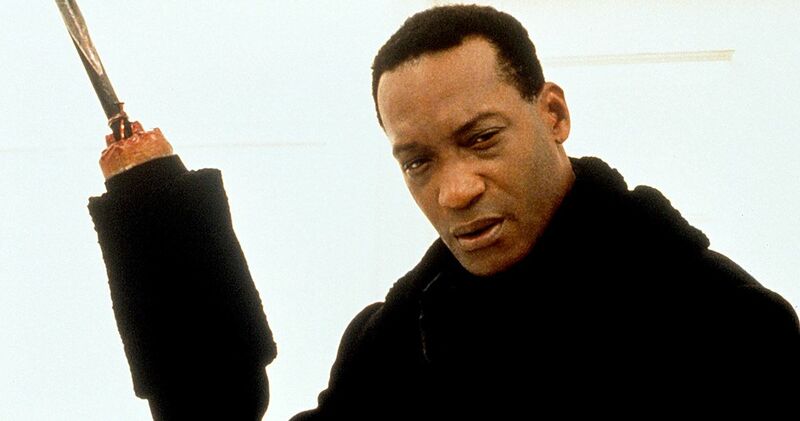 Jordan Peele is producing a new Candyman movie and the original actor, Tony Todd, wants to be a part of it. When originally asked about the project, Todd admitted that he had mixed feelings about it, but he seems to have slightly changed his attitude about the project now. Todd starred in the original movie, along with the two following sequels and the actor still stands behind the movies and his performances. In a recent interview, Tony Todd revealed that he would like to participate in the new Candyman movie. Get Out director Jordan Peele is producing while Nia Dacosta is directing. Anything with Peele’s name on it is going to be big news and Candyman is no different. That being said, Todd wants in on the action. He explains. 1992’s Candyman is based on Clive Barker’s short story “The Forgiven” and it follows a graduate student who is in Chicago completing a thesis on urban legends. This leads her to the legend of Candyman, who is the ghost of an artist and son of a slave who was murdered in the late-18th century. The movie is often placed in the top horror movies ever released and currently holds a 73% Fresh Rating on Rotten Tomatoes. Tony Todd probably does know the character better than anyone else, but he has yet to talk to Jordan Peele, as of this writing. Todd says that although he hasn’t talked to Peele directly, he knows that he is a fan. As for ending up in the new Candyman movie, Todd is still holding out hope, noting that filming isn’t set to start for a while now. He says, “They’re not going to shoot until deep this year so contracts are weird.” Todd went on to say, “You don’t want to get into contracts too soon because then you’re locked in.” It would be pretty cool if Peele and Nia Dacosta brought Todd on board, even as just a consultant. Tony Todd believes that Jordan Peele can bring the Candyman franchise back to where it’s supposed to be. The sequels were deemed inferior to the original movie, which even Todd admits. Even if Todd doesn’t have a part or a place in the making of the new movie, he knows that it’s a good thing all around, noting that it will ultimately bring more attention back to the 1992 original and says, “it’s a win-win for everybody and a win-win for horror fans.” That sounds about right. Head over to Bloody Disgusting to read the rest of the interview with Tony Todd.